Inviting Silence amidst Chaos is an Alchemy Spinning™ dance performance series from different cities around the world. 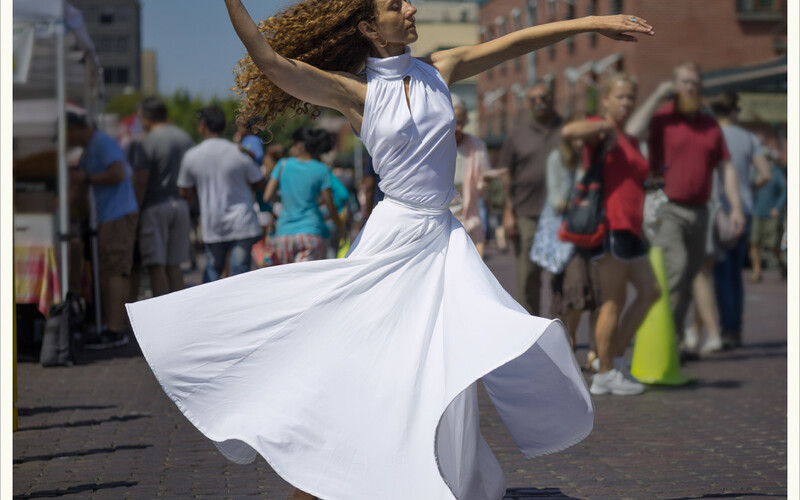 Raquel Boluda uses the power of Alchemy Spinning™ to create a space of silence and presence in the midst of chaos of the cities. These videos were filmed in Seattle and Barcelona. Madrid and San Francisco are coming soon! This video is a dance in honor to my new home, the San Francisco Bay Area. It was filmed in Treasure Island, a little island in front of San Francisco. Alchemy Spinning in Treasure Island. from Raquel Boluda on Vimeo. This piece is an Alchemy Spinning performance using the technology of the multi-award winning project Danceroom Spectroscopy at art & tech installation Zero 1, San José, CA, on June 2014. Raque Boluda’s spinning as energy field interacts with both graphics and sound through movement. Danceroom Spectroscopy and Alchemy Spinning at Zero 1. from Raquel Boluda on Vimeo.